Dying is a part of life. In fact, death is the single most valuable invention of creation. Overall, death is the destiny we all share. When someone dies, we need to write a notice about it so that people who were close to the deceased before their soul departed, can come by and pay their last respect to the fallen man or woman. 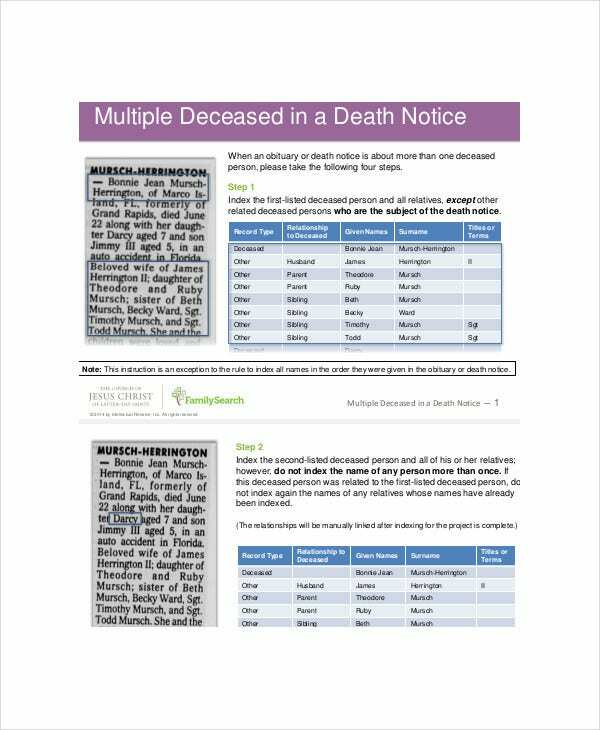 The following Notice Templates can help you spread the news about the death of an individual. 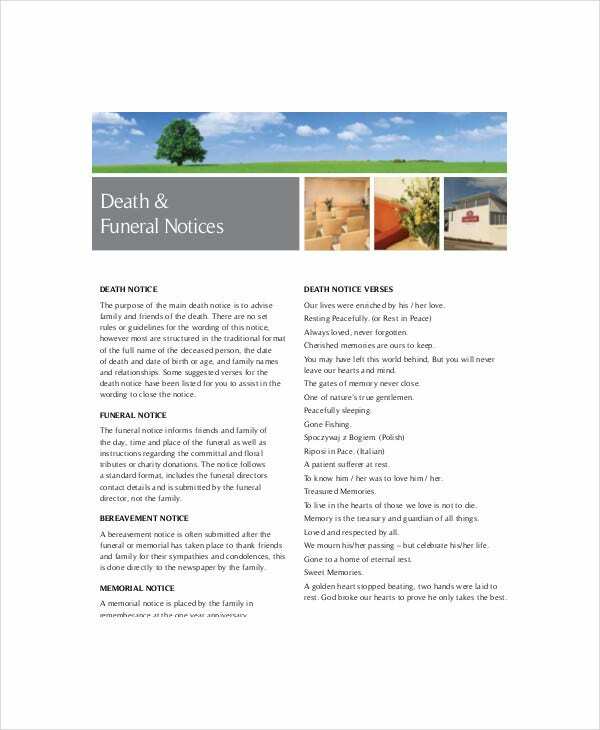 By downloading this death notice template, you will not just be saving time and money but also you will make sure that the notice reaches as many people as possible within the shortest time on hand. The best thing about this premium template is that it features unique design elements which make it easy to use. The features include support for bleed, commercial free fonts, and high quality images. Announcing the death of a loved one can help people stop worrying about where exactly so and so is. Of course, you can use this premium template to send a notice if and when you learn that someone you love has passed away. By using this template to send notices about the death of a person, you will be creating a solid awareness of their end of existence. As such, people who did not know about the event, become fully aware about the death of the loved one. 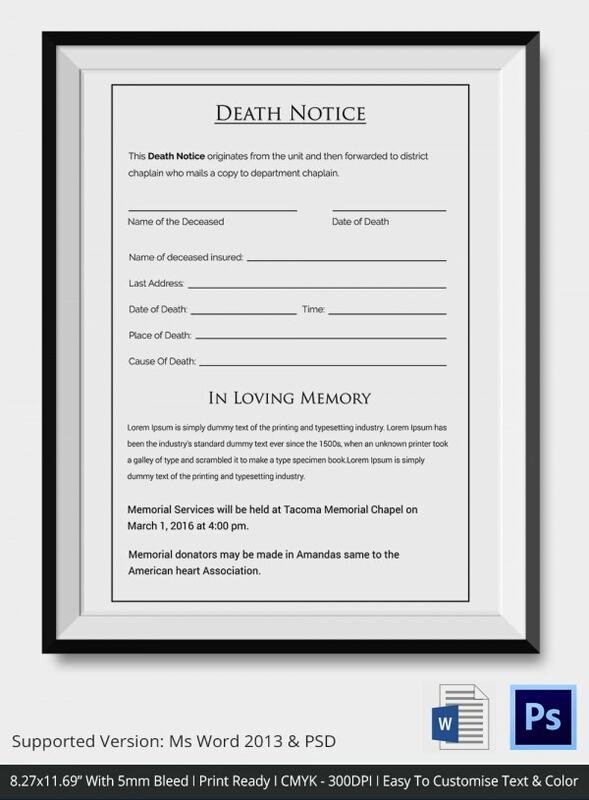 Death notice templates are free to download and easy to use. You can customize the template or use the model just as is. The template will help you to write the notice quickly, regardless of how you feel. 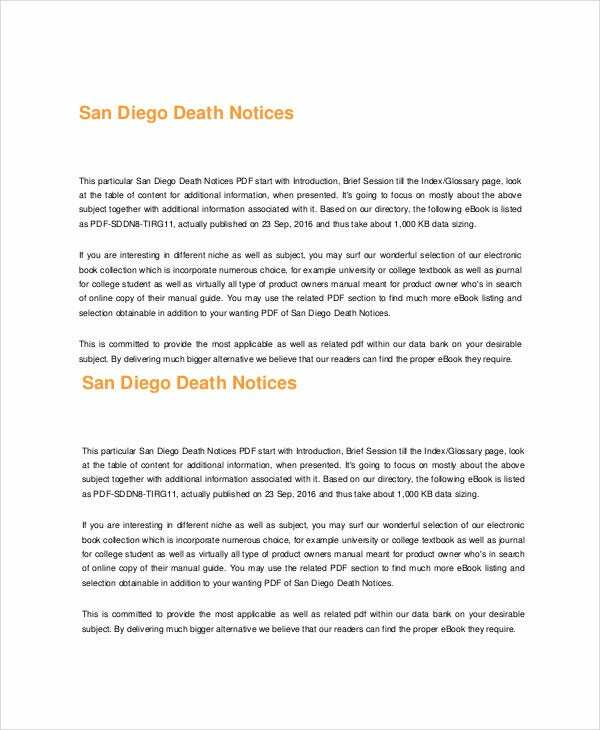 If you are looking for the best template to use for death announcement, you will find this template useful. 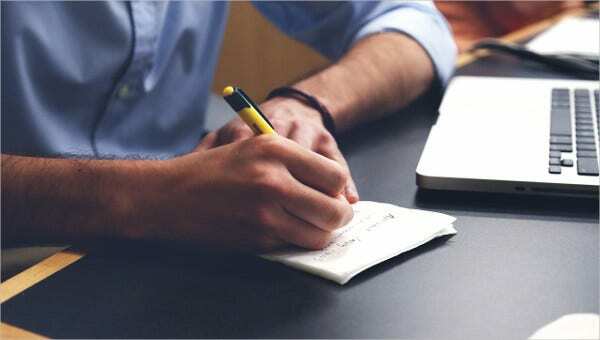 It is the best template that you can use if you do not want to write the notice from scratch. The death of an employee can be a shock to a company, but demise is irreversible. The best thing you can do is to announce the death of the person to the members of the company and the family of the deceased. You can also see Separation Notice Templates. If more than one person has just died, you can use this template to announce their deaths. Customize the template before use; otherwise, just print it and use it as is. You can customize this template the way you want and use it to spread the news about the demise of a loved one only to those people who were closer to the deceased when he or she was alive. The death of someone special is often an unbelievable event. We like to think and believe that the people we love should not die young – or old. When they die, we become sad, but only for a short time. 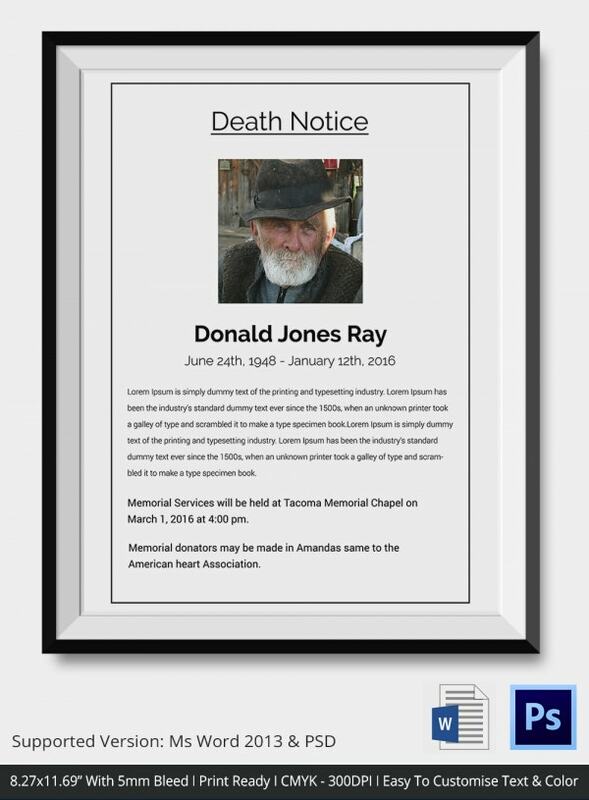 During those sorrowful moments, it may be difficult to write a death announcement and that is why a death notice template is quite significant. 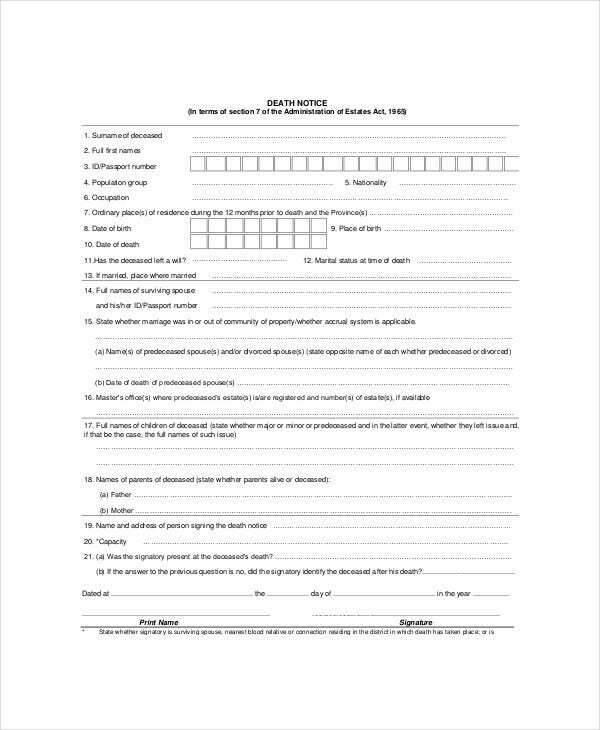 It helps you to write a notice about the demise of a loved one in a few minutes so that you don’t have to spend time writing the notice yourself while deep in tears. The template just makes work easier and gets things done quickly. You can also see Warning Notice Templates. 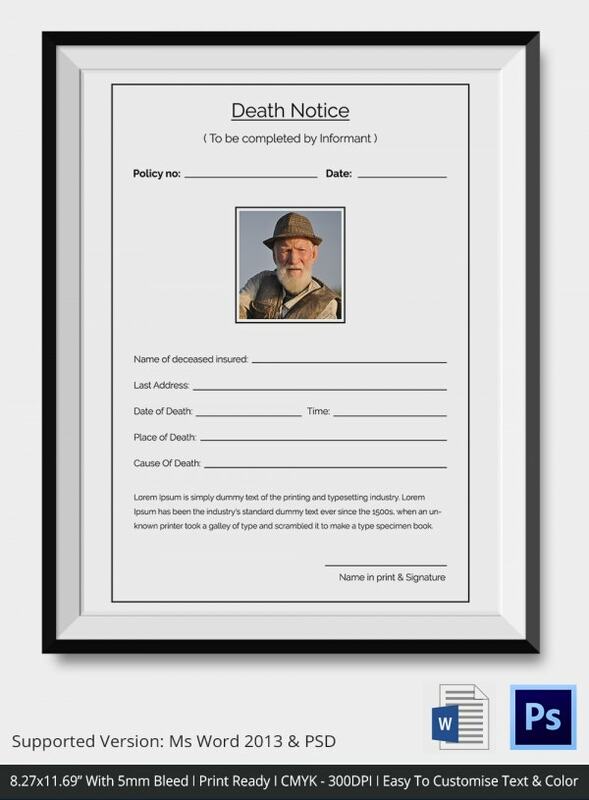 > Who Should Use Death Notice? 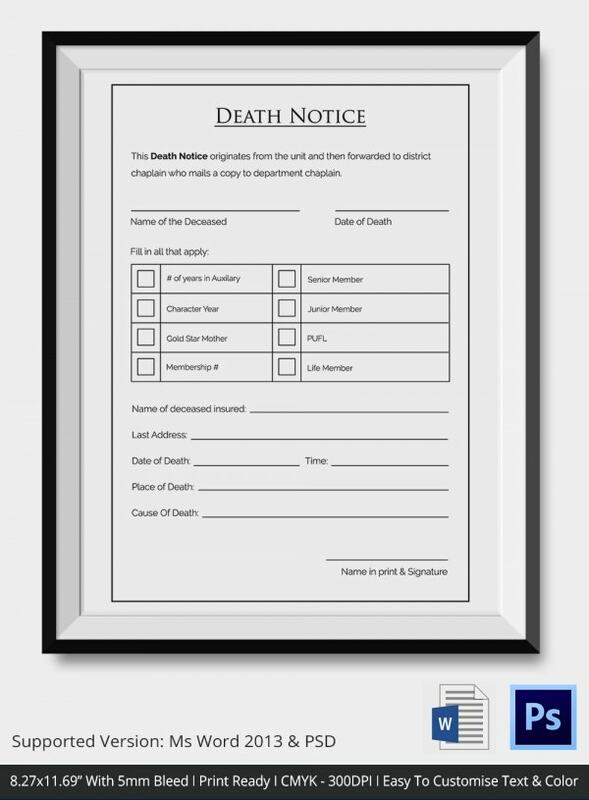 An employer can use a death notice to communicate the demise of any employee who used to work in their company. The boss should then distribute the information among the staff member and inform the family members of the dead employee about the event and the cause of death. Family members who have lost their loved ones can use the template too. 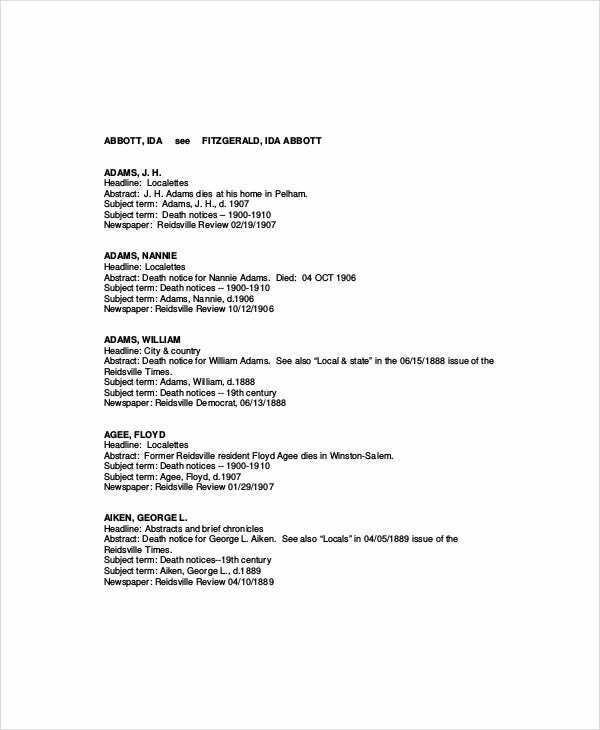 In this case, they will write about the death of the person they loved so much and then distribute the information to the people who were friends of the deceased. This will help to create awareness that the person in question is no longer alive. Perhaps the main benefit of a death notice is that it helps you to announce the death of a loved one to as many people as you want. By doing this, you create an awareness that the person in question is gone and the funeral arrangements are necessary. Being able to customize the template makes work even easier. That means it should take you less time to get the content of the notice ready. 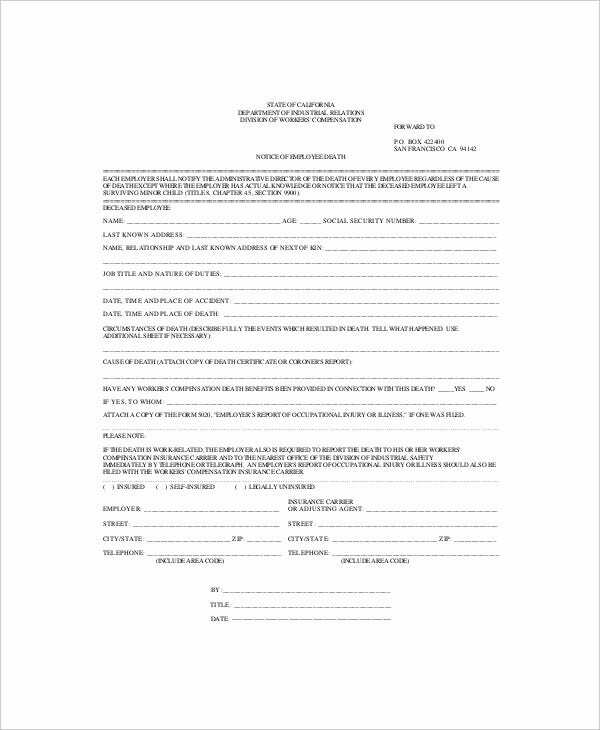 You can also see Tenancy Notice Templates. It is hard to accept the fact that someone you love is gone forever. So much, in fact, that announcing their death can be difficult because of the pain you feel. 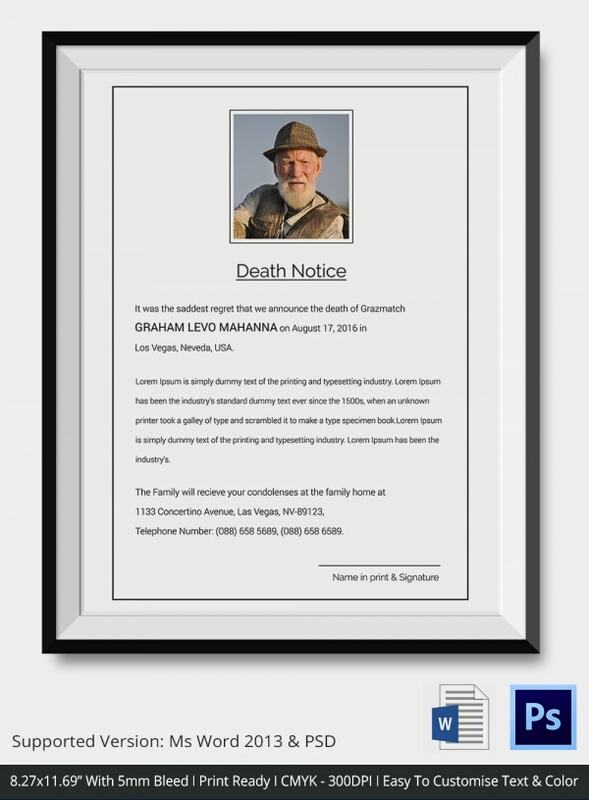 The death notice makes the work easier by enabling you to spend less time writing the announcement.